We build the highest quality belts by hand in the Ozark Mountains of Missouri for carrying a gun, tools, or even just holding your pants up. 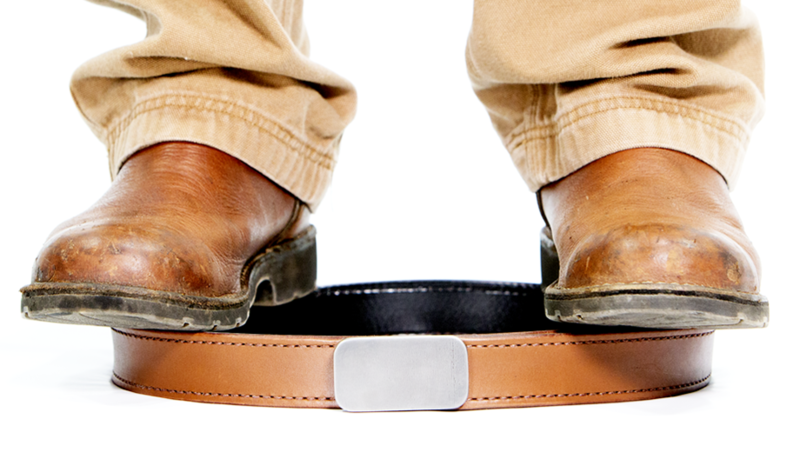 To order the correct size please measure your belt from where the buckle attaches to the hole you use the most. Keep in mind any gear you may wear with your new belt and make length accommodations. View the belt measuring video. Click here to read Lenwood reviews. View the Blunt Force Trauma Belt. View the Lady Blunt Force Trauma Belt. The Lenwood Hybrid belt is hands down the best CCW belt available. 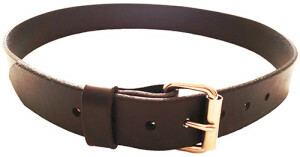 It is built by hand using a premium 10oz full grail leather belt slab and a synthetic belt slab (PVC coated polyester). They are glued and then stitched together using industrial nylon thread. 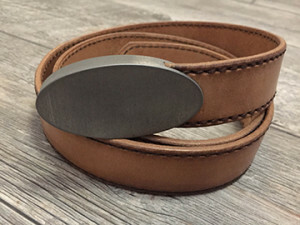 The edges are hand finished and the belt is completed with your choice of chrome plated steel or stainless steel buckle. The Lenwood Hybrid is available in 1.5" and 1.25" widths. The Lenwood Conveyor Belt is just that. We sourced the toughest conveyor belting material we could find and turned it into our Conveyor belt. This material is designed to be used in industrial and agricultural equipment with longevity even under extreme use so it will hold up to your every day use with no problem. The belt is textured and waterproof so if you have trouble with moisture or equipment sliding this belt will fix those issues. This belt is like the Model T, you can have any color you want as long as it's black. What does it convey about you? 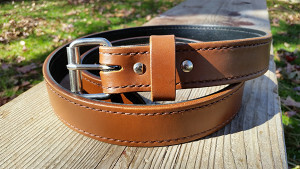 Want an all leather CCW or work belt? Look no further. 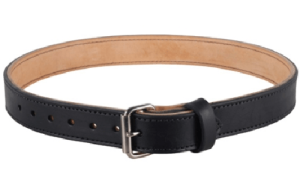 The Lenwood Double Layer Belt is a great all leather belt for CCW or as the best doggone work belt you’ve ever had! - Belt slab full grain leather outer layer - Belt slab full grain leather interior - The two pieces are glued then stitched together - Hand finished edges - High quality roller buckle and Chicago screws The leather looks great, the interior leather matched with the exterior leather produce a very vertical rigid belt for keeping pistols or tools right where you want them. 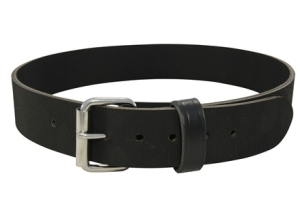 The Lenwood Leather General Purpose Belt is just that, a standard all around belt that's good for everyday wear. Hand made out of a single layer of full grain cowhide.